A timeless pairing of black and white makes this contemporary geometric a classic décor choice. 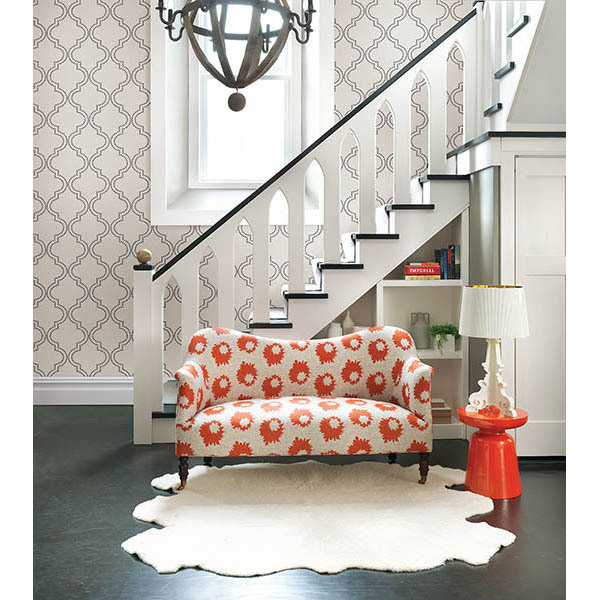 In both large and small scale form, this contemporary wallpaper makes a statement. The larger geometric diamonds are created using smaller dots, all coming together for the perfect look.Give walls the attention they deserve by dressing them in this chic wall print. With abstract and uncomplicated forms in mod colors, these fun wall coverings convey a contemporary look in any room. This modern wall covering creates a contemporary focal point for today's sleekest rooms.